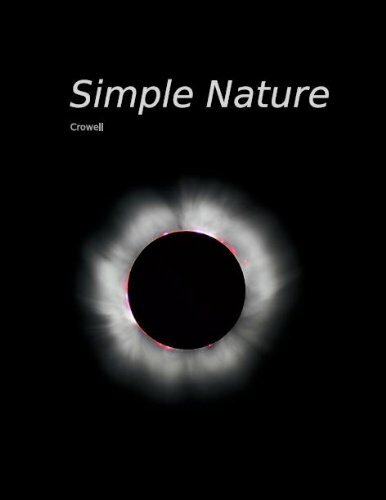 Simple Nature is an introductory calculus-based physics textbook. It uses a nontraditional order of topics, with energy coming before force. This textbook is meant for the type of freshman survey course taken by engineering and physical science majors. A textbook which states the theory of the subject in a clear and logical manner so that recitations can be held on it. Divided into sections: Mechanics and Properties of Matter, Heat, Vibrations and Waves, Sound, Light, Magnetism and Electricity. The purpose of this book is to summarize the essential features of first year college physics. The subject matter is divided into the classical branches of mechanics, properties of matter, wave motion, sound, heat, electricity, magnetism, and light. This guide is meant as a supplement to a year long freshman level physics course with a trigonometry prerequisite. The overview of equations and definitions and eventually sample problem solutions are pertinent to an introductory physics course. Physics is learned through problem-solving. This book is a set of example problems typical of those given in non-calculus physics courses solved and explained. This text is here to help you with the physics course you're taking.